At Monterey County Eye Associates, we are committed to providing patients with effective and advanced eye care services that enhance the vision and improve a person's overall quality of life. This means giving patients the information they need to understand the issues they face and which treatment options would be most effective for their particular needs. A number of patients have asked us about farsightedness (hyperopia) and what can be done to address this particular issue. Let's take a moment to consider that right now. Farsightedness refers to an inability to see nearby objects clearly while objects that are at a distance are clearer. For example, you may have trouble reading a book or magazine, but seeing someone across the room or reading a street sign is very easy. Farsightedness is caused by poor curvature of the cornea or the lens of the eye, causing light to focus behind the retina rather than on the retina itself. These issues with proper focus of light are common with nearsightedness (myopia) and astigmatism, which are other kinds of refractive errors. If you notice any problems develop with your vision or vision quality, be sure to speak with an eye care specialist about these matters. Another kind of farsightedness is called presbyopia. This is an age-related form of farsightedness that usually begins in middle-age and become progressively worse with later age. The main cause is the hardening of the lens of the eye, which makes near vision difficult. Presbyopia is a natural part of the aging process and it is something that everyone will eventually experience. There are a number of surgical treatment options for farsightedness to consider. The most popular of which is LASIK, which uses lasers to reshape the cornea and improve the way that light focuses on the retinas. Alternatives to LASIK that work on similar principles include PRK and LASEK. For presbyopia, the most common treatment options are the use of intraocular lenses (IOLs), which are artificial lenses that totally replace the hardened/inflexible natural lens of the eye. 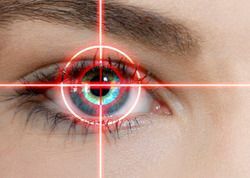 Monovision LASIK can also be performed, on which one eye is corrected for near vision and the other for distance vision. If surgical treatments such as LASIK and IOLs are not ideal for a patient, the use of corrective lenses is always an effective option to consider. This includes prescription glasses, contact lenses, and bifocals. Our team can work closely with you to determine which kinds of corrective lenses would be best and what kinds of frames would best complement your face. For more information about your options for treating farsightedness and seeing clearly again, it's important that you contact our team of eye care and vision correction specialists today. The team at Monterey County Eye Associates looks forward to your visit and helping you with your diverse eye care needs.